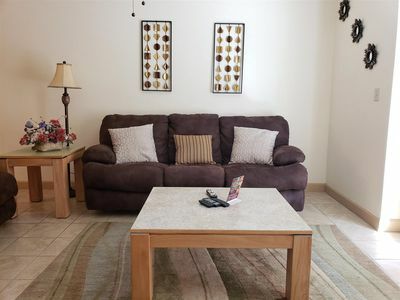 Are you looking for that perfect romantic honeymoon getaway? 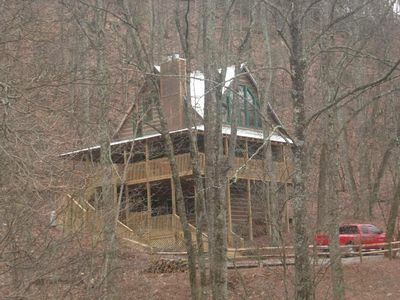 Maybe your just looking for peace and quiet for a few days with a couple of friends. Moonshine Romance fits the bill for all the above. 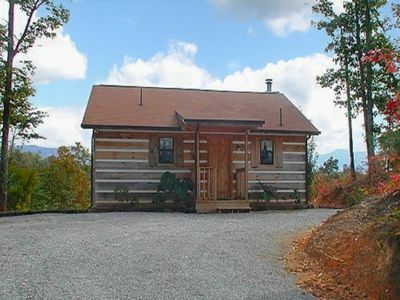 This beautiful little cabin can accommodate up to four guests. 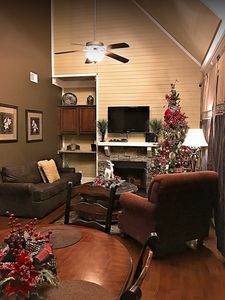 So it doesn't matter if you are just married and celebrating a new chapter in life or having a nice Tennessee vacation to recharge your battery. 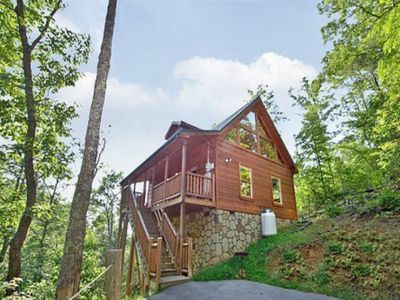 This cabin is sure to meet all your needs and more.Moonshine Romance is a beautiful romantic cabin rental that’s tucked away all by itself, surrounded by the wonderful calmness of the forest. 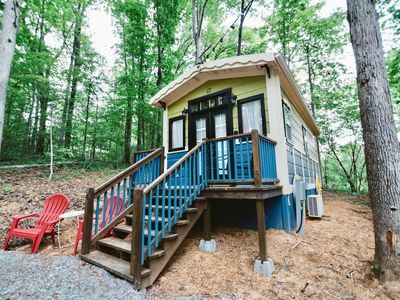 This lovely one-bedroom Tennessee vacation rental can accommodate up to four guests. 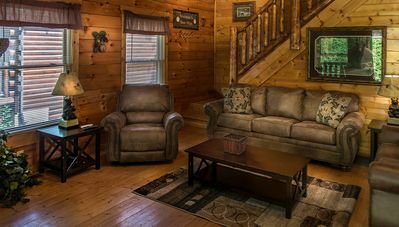 Moonshine Romance has been very tastefully decorated as you will see upon entry to the main level of this cabin. 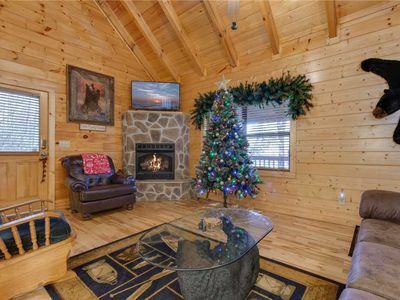 There is lots of windows providing natural light and will also allow you to see all the green or colorful foliage every morning when coming down stairs, or maybe a snow flake or two during the winter while sitting in front of the fireplace. 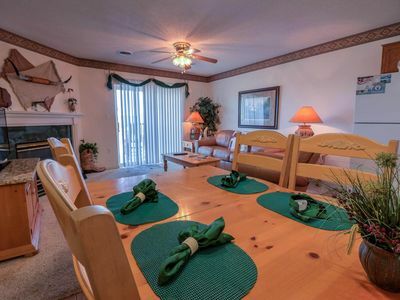 There is a fully equipped kitchen permitting you the ability to stay in and cook your own meals. 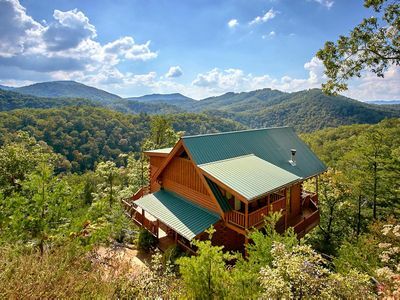 But, if you’re truly on vacation and a cup of coffee is all you feel like fixing, you can check out the Gatlinburg restaurants. 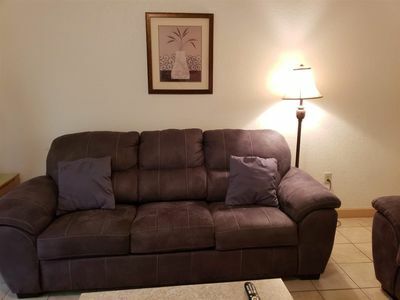 If you have extra guests with you, they can bunk on the sofa sleeper in front of the fire place. 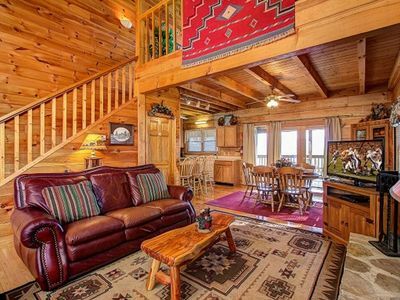 The second floor of Moonshine Romance has a king-sized bedroom with a jacuzzi tub and entry to the deck where the hot tub is located. 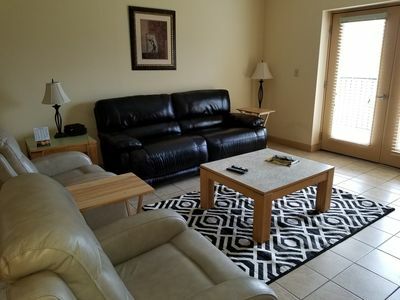 The loft area has a pool table, television and dart board. 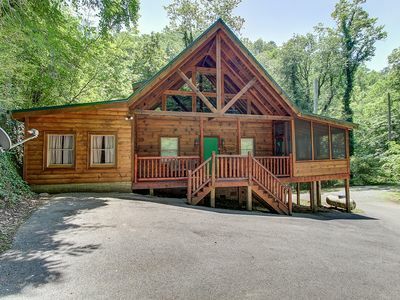 There are plenty of activities to keep you busy at the cabin, but if you came to the Smoky Mountains for adventure there is water rafting, zip lining, hiking, Ober Gatlinburg where there is shopping, skiing and snowboarding (during the winter months) and ice skating. 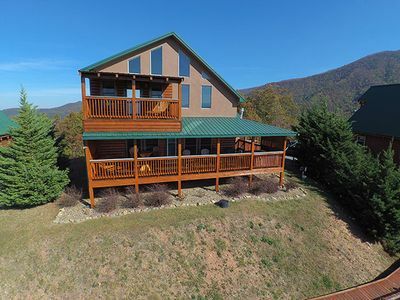 Moonshine Romance is only two minutes away from our famous Great Smoky Mountains Arts and Crafts Community and less than ten miles from downtown Gatlinburg. 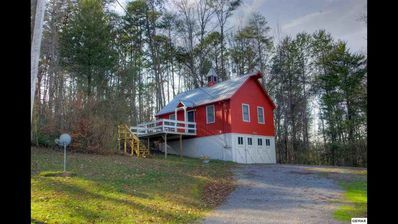 So, come on, sit in the front porch swing and relax. 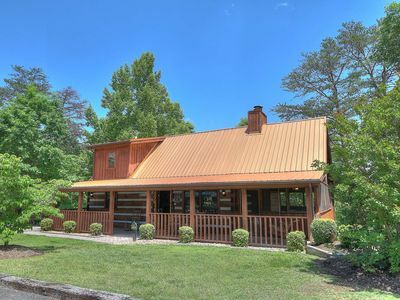 Book your Tennessee vacation at Moonshine Romance soon before your stay becomes someone else’s. 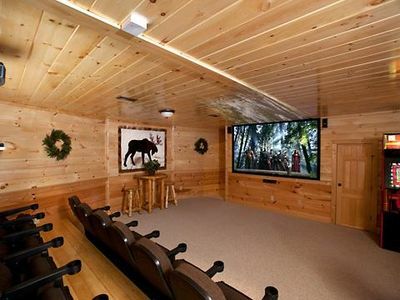 A Bear's Kind of Fun in Pigeon Forge #unforgettable 4 bedroom w/ Games & Full Theater! 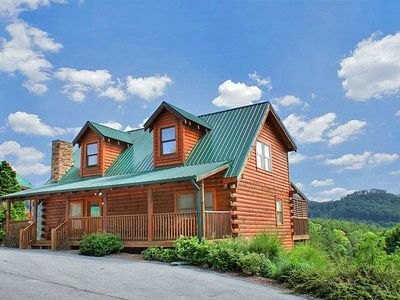 Reconnect with family and friends in Mayberry USA, a 2-bedroom Log Cabin in the Smokies. 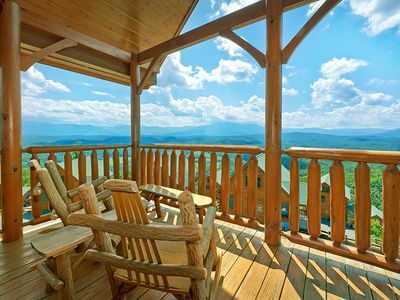 When staying at Above Awe you will be "awed" by the amazing views! !